-I added the New Remixed Intro Field to the beginning first Overworld of the game. You should be able to hear the New remix when you start it ups. with sounds the Remixes should not exist anywhere but this game. I will add those and i plan to replace the Mp3's With All OGG files soon. Edited by SkyLizardGirl, 29 January 2019 - 08:40 PM. 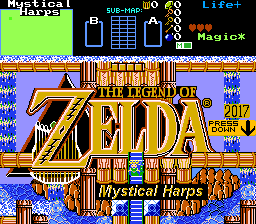 This will ensure the Zelda Classic 2.55 Player will not Skip over, the beginning of each Music theme that plays while in the game. Edited by SkyLizardGirl, 31 January 2019 - 03:21 AM.